Roman Catholic Lectionary from the New American Bible, 2014. Preaching This Week commentary, Ash Wednesday, WorkingPreacher.org, Luther Seminary, 2016. Beauty and Mortality, Bruce Epperly, Living a Holy Adventure, 2014. The Adventurous Lectionary, Ash Wednesday, Bruce Epperly, Living a Holy Adventure, 2016. Seize the Day: Reimagining Ash Wednesday, Bruce Epperly, Patheos, 2011. "Green" Ash Wednesday, Paul Nuechterlein, Girardian Reflections on the Lectionary. Ash Wednesday, The Catholic Encyclopedia. Ash Wednesday: An Online Handbook. Sermon Brainwave, Lectionary podcast featuring Profs. Rolf Jacobson, Karoline Lewis, and Matt Skinner, discussing the week's passages in light of current events. At Luther Seminary's WorkingPreacher.org, 2016. 2015. 2014. 2013. 2012. 2009. "What God Can Do With Dust," Jan Richardson, The Painted Prayerbook, 2018. "Sometimes People Are Awful," Hannah Adams Ingram, Modern Metanoia, 2018. "Saying the Hard Things," Todd Weir, With All My Soul, 2018. "Choose Your Lent," Karoline Lewis, Dear Working Preacher, 2016. A Plain Account, Wesleyan Lectionary Commentary, 2016. 40-Day Fast from Being a Jerk, Mike Slaughter Blog, 2016. "A Little reading for Fat Tuesday/Ash Wednesday," Nadia Bolz-Weber, Sarcastic Lutheran, 2016. A Blessing in the Ashes, Jan Richardson, The Painted Prayerbook, 2016. "Ashes to Ashes, Dust to Dust," Jill Crainshaw, Unfundametalist Christians, 2016. Treasure Hunt, Sharron R. Blezard, Stewardship of Life, 2016. "Ashes, Ashes, We All Fall Down?" John C. Holbert, 2016. Bible Leads, Deeply Plaid, 2016. "On Clean Hearts and Good Starts: Stome Thoughts for Ash Wednesday," Janet H Hunt, Dancing with the Word, 2016. Ash Wednesday, Howie Adan, Just Off the Map, 2016. "Ashes to Ashes," Karoline Lewis, Dear Working Preacher, 2015. "The Terrible, Marvelous Dust," Jan Richardson, The Painted Prayerbook, 2015. Use of images. Ash Wednesday, Bob Stuhlmann, Stories from a Priestly Life, 2015. Stories and Seasons, the cycles of Liturgy and Word made visible, Jessica Gazzola, 2015. The Hands that Hold the Ashes, Jan Richardson, The Painted Prayerbook, 2014. Images. Ash Wednesday: Death and Repentance, Marcus Borg, 2014. "Fasting for Fear," John C. Holbert, Opening the Old Testament, 2014. "Ash Wednesday," Bob Stuhlmann, Stories from a Priestly Life, 2014. "Ash Wednesday," Rick Morley, 2014. "Productive Pain: Standing Still in God's Love and Mercy," Janet H. Hunt, 2014. "I Give Up," Robb McCoy, The Fat Pastor, 2014. "Take Up Something for Lent," Robb McCoy, The Fat Pastor, 2013. "Ash Wednesday: Blessing the Dust," Jan Richardson, The Painted Prayerbook, 2013. Use of images. "Ashes and Dust and Broken Hearts," the Rev. Dr. Janet H. Hunt, Dancing with the Word, 2013. "Ash Thursday," Michael Coffey, 2013. Christian Leadership Center Commentary, Amy Schifrin, 2013. Sermon Notes for February 22, Michael Rich, In-Formatio, 2012. "I Will Remember: On the Eve of Ash Wednesday," "Ash Wednesday: Rend Your Heart," Jan Richardson, The Painted Prayerbook, 2012. Use of images. "A Day of Ashes and Rituals of Renewal," Ron Hansen, The Journey with Jesus: Notes to Myself, Daniel B. Clendenin, Journey with Jesus Foundation, 2012. "Usually Ashes Are Easy to Come By," Janet H. Hunt, Dancing with the Word, 2012. "When My Time Comes for Ashes and Dust," Michael Coffey, 2012. "Becoming Like a Flute," Shane Claiborne, Patheos, 2012. "Trampling the Poor," David R. Henson, Patheos, 2012. "Clean Out Your Closet," Alyce McKenzie, Patheos, 2012. "The Gracious God of Ash Wednesday," John C Holbert, Patheos, 2012. 10 Minute Worship Blog, Ash Wednesday, Dan Bollerud, 10 minute commuter mp3 worship, 2012. "Saying the Hard Things," Psalm 1, Ash Wednesday, 2011. Todd Weir, bloomingcactus. The Sacrament of Ashes, Paul Bellan-Boyer, City Called Heaven, 2011. "Learning the Moves," John van de Laar, Sacredise, 2011. Ash Wednesday: Practice Truth-Telling, Christine Vatlters Painter, Patheos, 2011. Saying No and Saying Yes, Alyce M. McKenzie, Patheos, 2011. Ash Wednesday, Ann Fontaine, What the Tide Brings In, 2011. "I Have Sinned: A Word for Ash Wednesday," Bob Cornwall, Ponderings on a Faith Journey, 2011. Locusts and Lent, Reflections on Ash Wednesday from Joel 2:1-2, 12-17, John C. Holbert, Patheos, 2011. "Marked by Ashes," poetry by Walter Brueggemann, journeywithjesus.net. "Love in the Ruins," Debra Dean Murphy, Intersections, 2010. "Remember," Barbara Crafton, The Almost Daily emo, 2009. Cultural Resource, Ash Wednesday, Nessette Falu, The African American Lectionary, 2009. Lectionary Haikus, Ash Wednesday, 2009, Christopher Gudger-Raines. "The Humility of Dust," Jason Byassee, Faith and Leadership, 2009. Ash Wednesday, Ann Fontaine, What the Tide Brings In, 2005. "Remorse and Hope," Susan B.W. Johnson, The Christian Century, 1997. "Ashes and Weeping," Jane Carol Redmont, "Proclaiming Gospel Justice," The Witness, 2005. "The Most Uncomfortable Day of the Year," Byron L. Rohrig, The Christian Century, 1987. At Religion Online. Reflection on Lent, (Southern Hemisphere), Rev. Bosco Peters, New Zealand. "Becoming a Place of Resurrection," Charles Hoffacker, Episcopal Digital Network, 2016. Miércoles de Ceniza– 2015 por el Rvdo. Gonzalo Antonio Rendón-Ospina, Sermones que Iluminan, 2015. Ash Wednesday Sermon, the Rev. Dr. Delmer L.Chilton, The Lectionary Lab, 2015. "Good News in the Ashes," the Rev. Dr. Amy E. Richter, Sermons that Work, Episcopal Digital Network, 2015. "What Audience?" the Rev. Dr. Amy E. Richter, Sermons that Work, Episcopal Digital Network, 2014. Miércoles de Ceniza (A,B,C) – 2014 POR EL RVDO. ALFREDO FEREGRINO, Sermones que Iluminan, 2014. "Keep It To Yourself," Christopher Burkett, PreacherRhetorica, 2013. Sermons That Work, Ash Wednesday, Rev.Charles Hoffacker, Episcopal Digital Network, 2012. The Pitfalls Of Practicing Piety, John M. Braaten, SermonSuite. "Responsive Fasting," study guide for adults, Robert B. Kruschwitz, (other resources at) Lent, focus of "Christian Reflection," Baylor University Center of Christian Ethics, 2013. Focus article, "Lent as a Season of Responsive Fasting," Scot McKnight (Luke, Psalm). Ash Wednesday Resources, United Methodist Church GBOD, 2014. Worship resources for Ash Wednesday by Charles and Donna Cammarata from SermonSuite. "Ashes to Go: Tips for Liturgical Outreach," ECF Vital Practices for Leading Congregations, 2012. Liturgy for Ash Wednesday, 2012. Liturgies from a Progressive/Post-Liberal Theology, Revd Rex A.E. Hunt, Uniting Church in Australia. 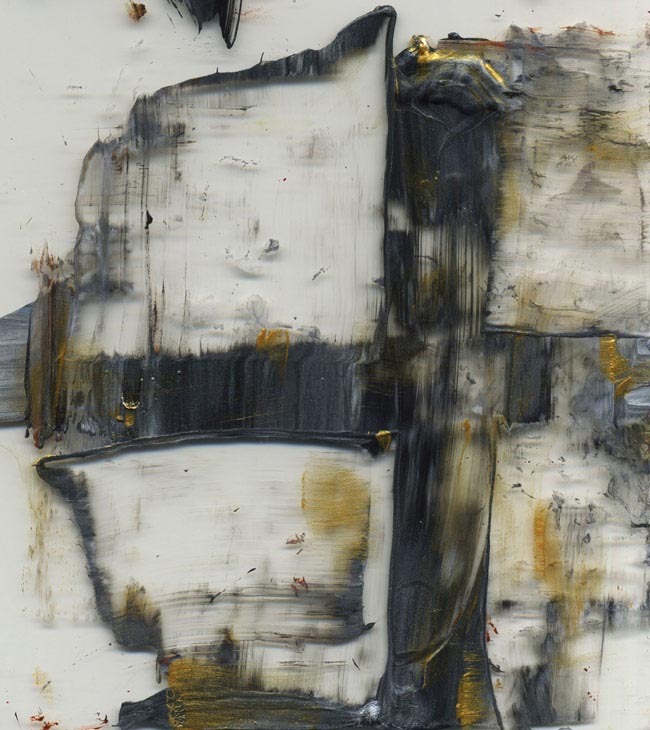 Wednesday Worship Pieces: Ash Wednesday, Joanna Harader, Spacious Faith, 2012. Ash Wednesday Worship resources, James R. Wilson, SermonSuite. Worship Aids, B. David Hostetter, Lectionary Worship Aids, SermonSuite, 2011. Ash Wednesday Music & Worship Resources, Edythe Poole, The African American Lectionary, 2009. Lectionary Worship Resources, Ash Wednesday, John van de Laar, Sacredise. Many Ash Wednesday services and Worship Resources by Lisa Frenz, Mt. Carmel Lutheran Church, Portland, OR. Worship Well Liturgy Online: Ash Wednesday Worship, General Lent Liturgy, Ash Wednesday Preparing for Renewal Liturgy (Catechumenate), Rev. Bosco Peters, New Zealand. Communion for the Beginning of Lent, Dennis Bratcher, Christian Resource Institute (Church of the Nazarene). Liturgy for Burying the Alleluia and Liturgy for Ash Wednesday, Rev. Thomas L. Weitzel, Evangelical Lutheran Church in America. A Liturgy for Ash Wednesday, Dr. William R.G. Loader, Murdoch University, Uniting Church in Australia. Ash Wednesday Prayers, Victor Hoagland, C.P. Lector's Notes, Ash Wednesday, Gregory Warnusz, Saint Jerome Parish, Bellefontaine Neighbors, MO. Notes and commentary for those reading this week's lectionary texts to the congregation. Liturgical Planning and Music Suggestions, Ash Wednesday, CanticaNova Publications. Resources: Based on the Revised Common Lectionary: Ash Wednesday A, Ash Wednesday B, Ash Wednesday C, Prayers, Collects and Litanies by Bruce Prewer, Uniting Church in Australia. "Clean Hearts, New Spirits," Dan Schifeling, Worshipcalls, 2012. The Timeless Psalms: Psalm 51:1-17 Ash Wednesday, Joan Stott, prayers and meditations based on lectionary Psalms, 2016. Ash Wednesday Prayer for 2014, Godspace, Mustard Seed Associates, 2014. Ash Wednesday Prayers, GodSpace, 2015. Art in the Christian Tradition: Year A, Year B, Year C, Jean and Alexander Heard, Vanderbilt Divinity Library. Creative Commons Attribution Noncommercial ShareAlike 3.0 License. HermanoLeón Clipart, Ash Wednesday. Free clipart, backgrounds, slides, etc. Ash Wednesday Clip Art. Anglican Diocese of Dunedin, New Zealand. Images for this week's readings: Year B, Pitts Theology Library Digital Image Archive. Lectionary Puzzles, Ash Wednesday. Word search puzzles in RTF or plain text, by Reg McMillan, St.Stephen's Presbyterian Church, Peterborough, Ontario. Lent and Dust - you tube, inclusivechrist. There has seldom been such a powerful study of hypocrisy as the Showtime movie Our Fathers, the story of how a group of men who were abused by their priests when they were innocent boys band together around a lawyer and finally punch their way through the lies and obfuscation of the Archdiocese of Boston. Ed McNulty, Visual Parables. What Is the Fast? Anna Shirey, Anna's Hosannas. When Giving Your Gifts, Text: Carolyn Winfrey Gillette, Tune: LYONS 10.10.11.11 ("O Worship the King, All Glorious Above), a new hymn based on Jesus' teaching concerning almsgiving, prayer, fasting and treasures, found in Matthew 6:1-6, 16-21. 'See! Now is the Time!,' Text: Carolyn Winfrey Gillette, Tune: LYONS 10.10.11.11 ("O Worship the King, All Glorious Above! "), A new hymn based on 2 Corinthians 5:20b-6:10 was written for The Presbyterian Outlook magazine for Lent 2013 and available with the music. O God, Be Merciful To Me,” an original hymn by Carolyn Winfrey Gillette, inspired by Psalm 51. Tune: CRIMOND 8.6.8.6 (“The Lord's My Shepherd, I'll Not Want”). Don't Show Off Your Giving Text: Carolyn Winfrey Gillette, Tune: ASH GROVE 6.6.11.6.6.11 D (“Let All Things Now Living”) This hymn is a paraphrase of chapter 6 in Matthew and part of "The Sermon on the Mount: A Worship Service of Lessons and Songs." Ash Wednesday Comes and, Lord, We Hear, Text: Carolyn Winfrey Gillette, Tune: TALLIS' CANON 8.8.8.8 (“All Praise to Thee, My God, This Night”), A new hymn based on Joel 2:1-2, 12-17 was written for The Presbyterian Outlook magazine for Lent 2011 and available with the music. When You Are Praying (Jesus' Teaching on Prayer), Carolyn Winfrey Gillette, NEW BRITAIN (CM 8.6.8.6) (Amazing Grace) or CRIMOND (CM 8.6.8.6) (The Lord's My Shepherd, I'll Not Want) with links to helpful books on the Lord's Prayer. "What Has Our God Required of Us?" TEXT: Mark Ryman (2005) based on Matthew 6:1-6; 16-21. TUNE: "Lasst Uns Erfreuen." New Hymns for the Lectionary. A Hymn for Shrove Tuesday, Bosco Peters, 8.7.8.7.8.7., from the Saint Helena Breviary, Church Publishing, 2006. "No Sack Cloth," "Take Up Your Cross," Brenton Prigge, New Hymn. Hymns of the Spirit Three, Ash Wednesday, Richard E. Hurst, Universalist National Memorial Church. Hymn and Song Suggestions, Ash Wednesday, 2015, annotated suggestions from Natalie Sims, Singing from the Lectionary. Music for Ash Wednesday, UMC GBOD, 2014. Hymnary.org: Ash Wednesday, Year A, Year B, Year C, hymns, scores, media, information. Shepherd Sounds, Ash Wednesday, Background information for hymns and choral music following the lectionary from the Episcopal Church of the Good Shepherd, Austin, Texas, by Eric Mellenbruch and David Zersen. Lectionary Hymns, Ash Wednesday, National Association of Pastoral Musicians. Worship Resource Manual, The Moravian Church, Southern Province. Worksheets for planning music in worship: hymns, anthems, solos, organ repertoire suggestions for RCL texts. Direct link to Ash Wednesday. Choral Anthem Project, Ash Wednesday, National Association of Pastoral Musicians. Worshiping with Children, Ash Wednesday, Including children in the congregation's worship, using the Revised Common Lectionary, Carolyn C. Brown, 2016. Ash Wednesday with Children and Families, Faith Formation Journeys, 2015. "Three Reasons to Include Children on Ash Wednesday," Carolyn C. Brown, 2013. Story for Children's Worship and Family Activity, Ash Wednesday, at word-sunday.com: A Catholic Resource for the Lectionary by Larry Broding.